You’ll learn that foundation damage in Texas is caused many things, including clay soil and local weather. This often necessitates foundation repair service. Of course there are many factors that create harmful conditions and lead to foundation problems. No matter what’s causing destruction, it must be stopped in order to preserve your foundation. 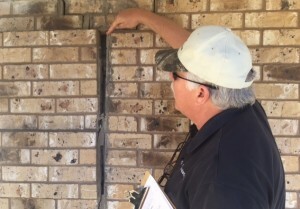 Because excessive deterioration in foundations can be expensive to repair, it’s a good idea to study how clay soil and changing weather can be causes of foundation damage in many Texas cities including Fort Worth, Dallas, Irving and Arlington. Because soil can create cracks, you may require foundation piers installed to stop destruction. You’ll want to learn about clay soils and your foundation. When it’s hot soil expands. This can cause as much damage as soil contraction. Until you determine what’s creating these issues, your foundation will continue to deteriorate. Fact is, these soils undergo movement whenever it gets extremely warm, or if it rains a lot. Read about how hot weather damages your foundation and them develop a plan to prevent cracking, settling and other forms of destruction. When you have foundation problems such as cracking, it’s important that you have them resolved immediately. There are a large number of things that affect structure in Fort Worth, Dallas, Irving and other cities. Fact is, damage can occur in the foundations of houses, apartments and commercial buildings and be caused by moisture. Unfortunately, clay soil and warm weather aren’t the only culprits. As many homeowners have discovered, rain can create all kinds of issues. Water in the form of rain or due to plumbing leaks can lead to foundation failure. It’s important to learn how to prevent foundation damage during the rainy season. You’ll want to take precautions to avoid water accumulation around or under your foundation. This prevents gaps from forming in your foundation and other destructive issues. Large amounts of moisture, including rainfall, can cause significant destruction, as can leaks in cracked concrete slabs. And, of course, any trouble with plumbing leaks are concerns because they’re harmful, too. If this is the case, you’ll want to prevent damage to your foundation by getting assistance in the form of foundation repair in Texas. No matter what’s causing harm to your property in the Fort Worth, Dallas or Irving area, it’s essential to stop your property from being destroyed. Having the proper repairs made to your foundation will stop cracks and more. In the event your foundation is crumbling or something equally hurtful, HD Foundations can install concrete foundation piers or steel piers under your property. We’re contractors that can help. This will stop any on-going deterioration your foundation is experiencing, regardless of whether it was caused by soil with a high soil content or weather. It will make your foundation level. It’s important to halt foundation problems and deterioration. Remember: Warm weather creates brick fractures, foundation gaps, sinking, settling, uneven floors and more. The solution is to fix your foundation before it’s excessively costly to do so. Strangely enough, earthquakes have been a concern in North Texas lately, too. Property owners wonder about their house foundations cracking. As a result, people ask us if earthquakes caused foundation damage in 2015 or not. As of now, property in the Fort Worth, Dallas and Irving areas have experienced little or no significant destruction as a result of quakes. While tremors have been small, they occur quite frequently in the DFW area. If you have concerns, contact HD Foundations. We resolve issues associated damage and whatever’s creating it in all areas of North Texas. So get proactive and schedule a free foundation repair estimate online today. We service the metroplex, including Dallas, Fort Worth, Irving, Arlington, Plano and other DFW cities.